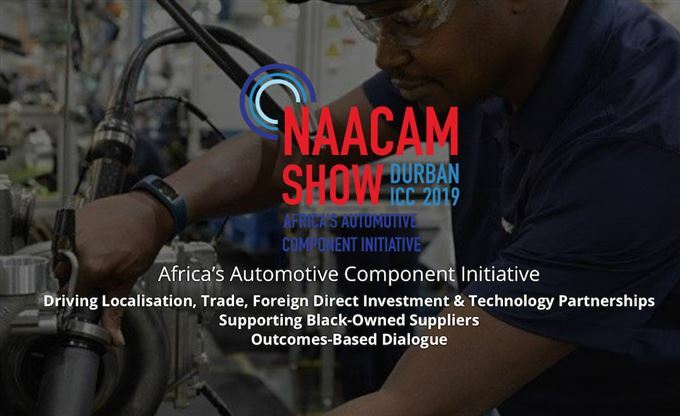 The eThekwini Municipality has been announced as the venue once again for the NAACAM Show 2019, which will be delivered in partnership with the Durban Automotive Cluster (DAC), at the Durban International Convention Centre (ICC) from the 12th – 14th March 2019. Book your company to enjoy prime exhibition space before the end of this week and (ending Friday 1 June 2018) with payment to receive the early-bird discount of 10% due by 31 August 2018. Click here to view the floorplan and book your exhibition stand. The NAACAM Show 2019 is expected to see in excess of 1600 industry members converging on Durban for the 3-day conference, exhibition and pre-arranged buyer-supplier meetings. The 2019 event is based on the success of the NAACAM Show 2017, where 60% of respondents agreed or strongly agreed that “It is likely that new business will be secured in the future” based on attendance. The show is an industry led initiative, supported and endorsed by the Department of Trade and Industry, the Original Equipment Manufacturers (OEMs), Automotive Supply Chain Competitiveness Initiative (ASCCI), National Association of Automobile Manufacturers of South Africa (NAAMSA) as well as the National Union of Metalworkers of South Africa (NUMSA). For enquiries, you can contact the project management team on (031) 764 6100, or email: info@naacamshow.co.za.